- BCAS (Bureau of Civil Aviation Security) cleared for handling GHA (Ground Handling Agent) services at all airports in India. - Authorized Cargo Common User Terminal operator for Visakhapatnam Airport. - Operating at more than 20 airports in India. 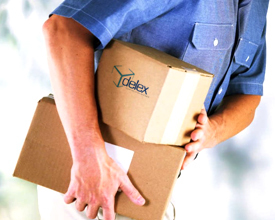 "NFO" – Next Flight Out services, “HCD"- Hand Carry Delivery, using this service Delex is able to delivery time sensitive, highly critically required shipments, "SDD"- Same Day Delivery Services. At Delex we realize time is commodity. Delivery of IT, medical equipment, spare parts and security documents is time critical. Thus, the option for faster delivery. 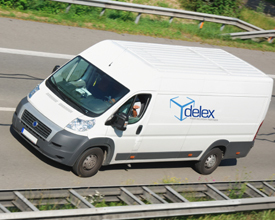 To transcend the boundaries of transportation and partner for strategic needs, Delex commenced technical courier (repair/ replacement at customer’s premises). Delex Cargo India Private Limited., is a Logistics and Supply Chain management company that is focused on providing “Innovative”, “Best-Value”, “Technology Laced” logistics services & solutions on the India Domestic Cargo Distribution scene. 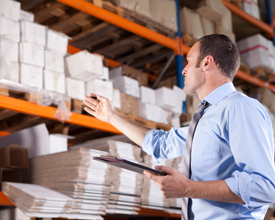 Having an established capability & experience of providing solutions & services for all types of 3PL activities, Delex specializes in integrated Supply Chain solutions to a wide variety of clients from different industry sectors. 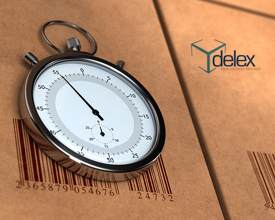 With an established experience in real-world logistics and supply chain, Delex is in a position to provide a highly optimized and customized logistics solutions to suit every client requirement with high focus on efficiency. "Efficiency is the key to competing in logistics business". Helps reach a wide-spread of clients scattered across geographies in the most efficient and cost effective manner. Priority handling services’ for highly time sensitive cargo. Winners of 'Warehousing Excellence' at 2nd Asia’s manufacturing S C Summit, our wide spread state-of-the-art warehouses demonstrate our commitment towards our clients. Pick-up/ drop-off of numerous spare parts is carried out at Delex PUDOs / forward stocking locations for field service organizations. Saves time, money by bringing the parts closer to the technicians/ engineers.